The Mycenaean cemetery at Aidonia in Nemea, while being discovered in the late 70s, was unfortunately found its looted state. 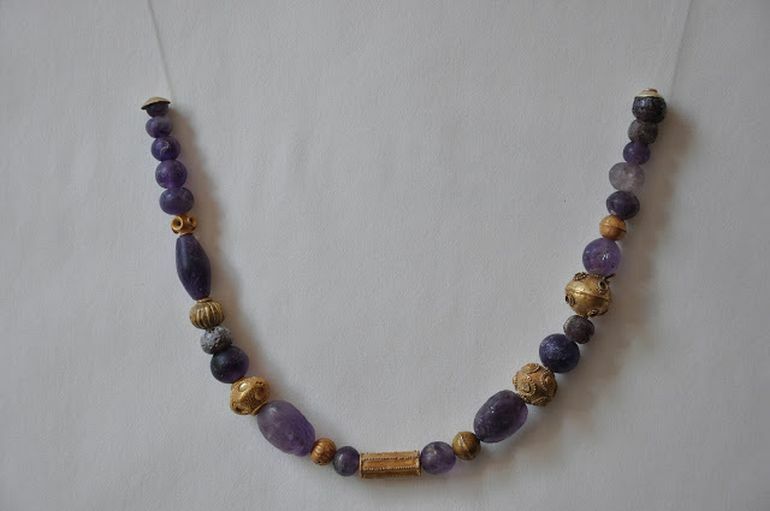 The site once again came into the news in the 90s when jewelry originating from the cemetery was found to be sold in the international market. 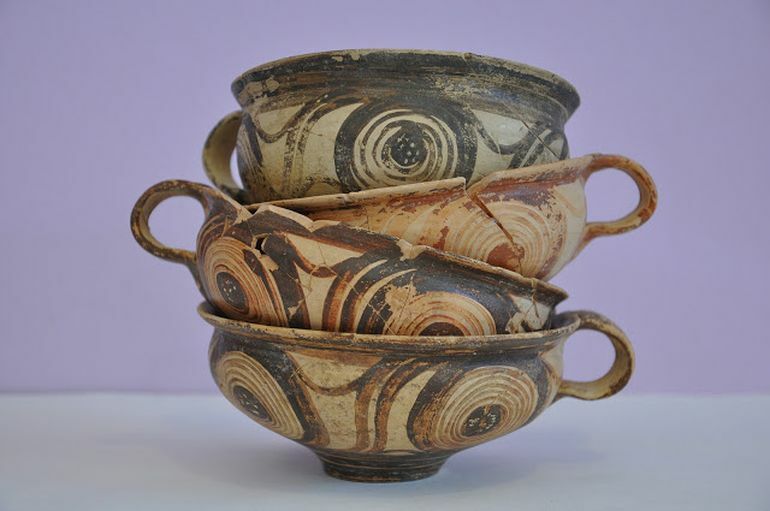 Fortuitously that time around, authorities were able to recover those priceless artifacts and successfully exhibit them at the Nemea Museum. 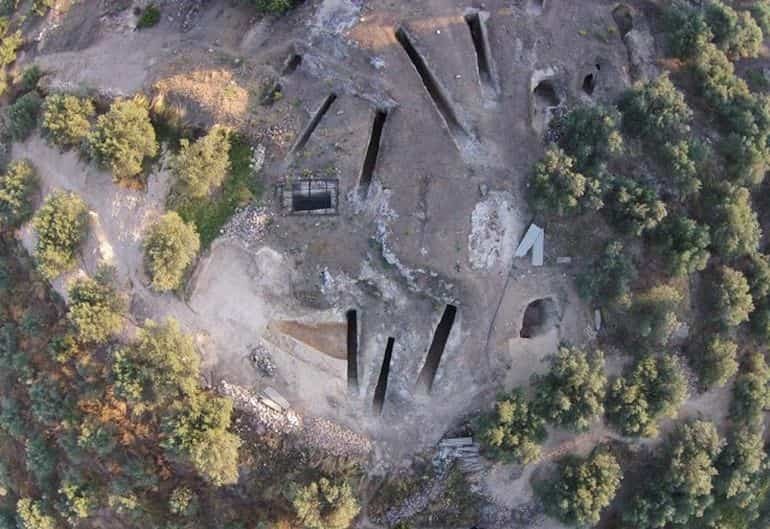 And now, after two decades of archaeological works, researchers are once again welcomed by the historical ‘breadth’ of the Aidonia cemetery, this time in the form of an unlooted vaulted tomb of the Early Mycenaean period (circa 1650-1400 BC). Surprisingly enough, in spite of its unplundered nature, the Mycenaean tomb is actually one of the largest found in the necropolis. The excavations carried out since the 90s revealed an array of 16 rock-carved vaulted tombs each with a dromos (the ceremonial entrance passage to the main structure), entrance and the main burial chamber. The last few years of archaeological work at the Aidonia site has been overseen by the Ephorate of Antiquities of Corinth. And it is under them that the latest revelation came – a vaulted Mycenaean tomb with a short-yet-wide dromos leading to a circular-ellipsoid burial chamber (with a dimension of more than 20 ft across). 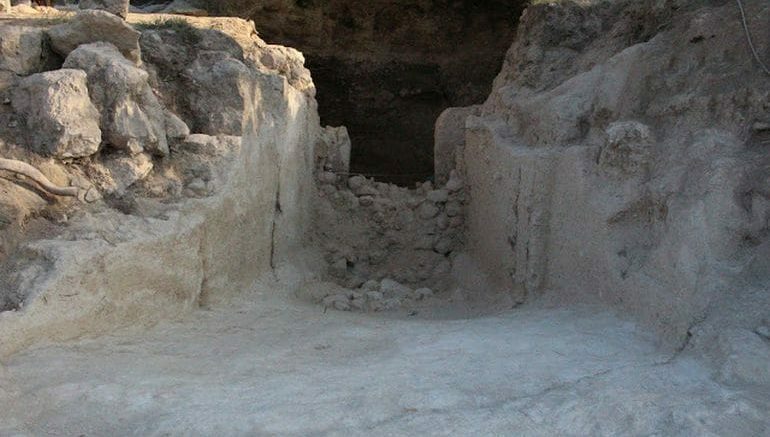 According to the archaeologists, the sectional layout of this particular tomb is similar to that of the vaulted tombs of the early Mycenaean period. As for its funerary contents, the Mycenaean tomb’s chamber was found to have four large pits with their megalithic slab covers – features that are typically associated with Mycenaean tombs of the period. These pits contained the earlier burials that were interred along with objects like ceramic tableware and storage vases – some of which were designed with an exquisite flair and symbolic motifs. 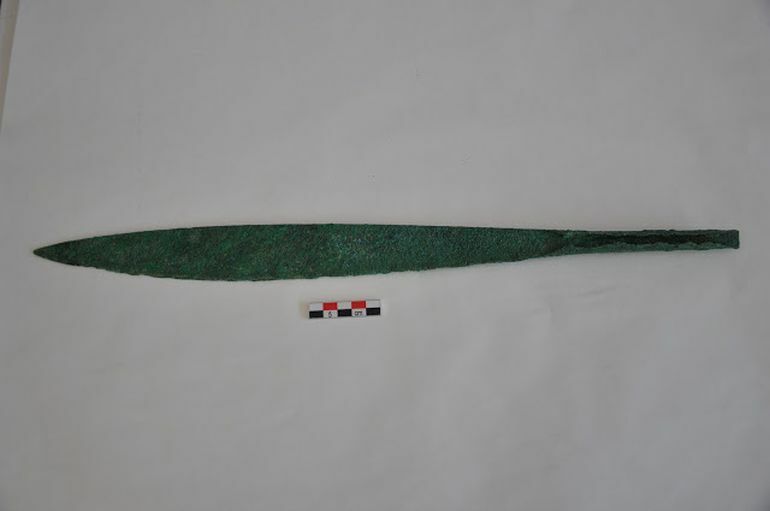 These were accompanied by a range of other items, including copper knives, daggers, swords, arrowheads (made of copper, obsidian, and pyrite), jewelry beads, and prestigious sealstones. 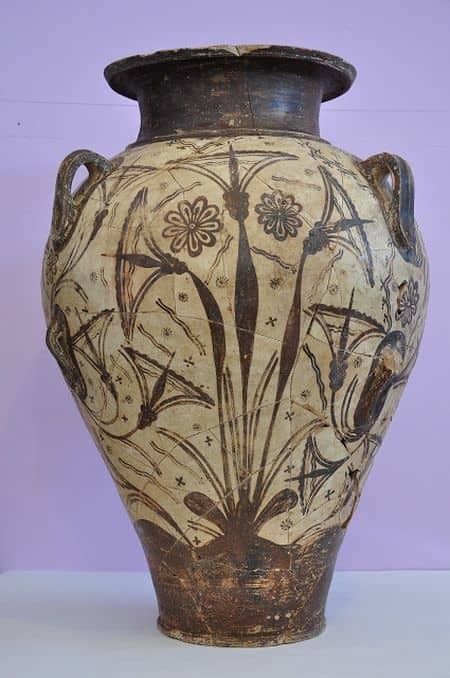 In terms of historical chronology, this tomb structure was still in use during the Late Mycenaean period (circa 1400-1200 BC), though the objects dating from this era were frugal when compared to the earlier centuries. The archaeologists have also hypothesized that part of the chamber roof collapsed shortly after the Mycenaean tomb fell into disuse. However, the site in itself was still in usage in the later Classical times, Roman era till even the Eastern Roman (Byzantine) period. 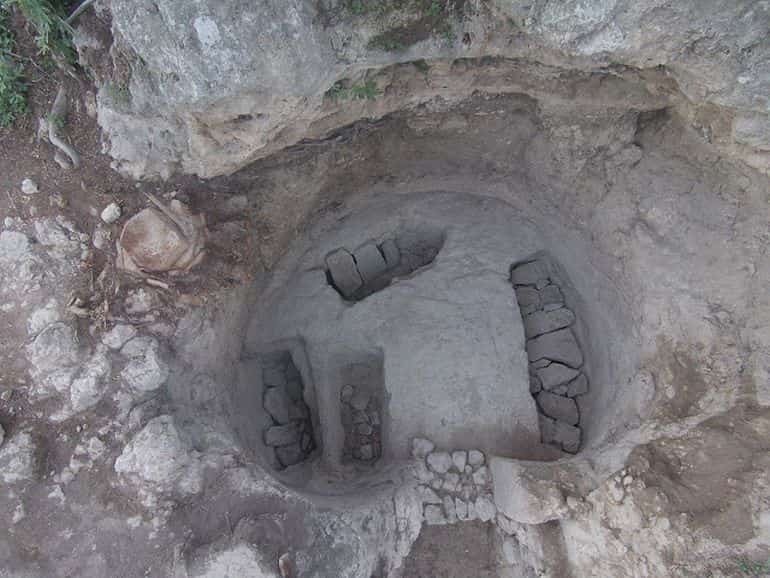 And lastly, as for the significance of this rare unplundered Mycenaean tomb, the researchers are hoping to find more about the local ruling class of the area during the Bronze Age by carrying out analysis of the burials and their patterns.